Every interaction is within range! 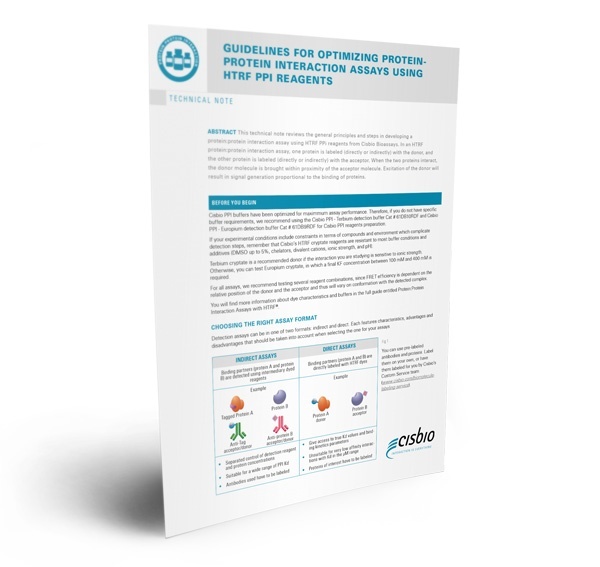 This Technical Note wants to help you develop the PPI assay of your dreams using HTRF®. As well as an introduction to the technology, it features the essential guidelines, with detailed instructions and microplate matrices, to develop, analyze, optimize and finally perform the assays you wish for.